Ms. Goofy loves cheese. She also is a Chilehead in training. When I first met her, she was a novice in all things chile. Jalapeno peppers, one of the mildest peppers was a challenge for her. Over the years, she has been introduced to many varieties of peppers. She still shies away from the exotic peppers so I was a little surprised when she came home with some 'Three Alarm Pepper Cheese'.This Colby Jack cheese has a trio of peppers: Habanero, chipotle, and jalapeno. This is some great cheese. 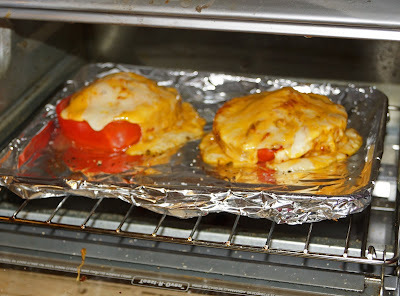 I love the mix of peppers with creamy Colby Jack cheese. It definitely will warm your taste buds. I would give it three stars out of five on the heat meter. We have a glut of tomato's right now. 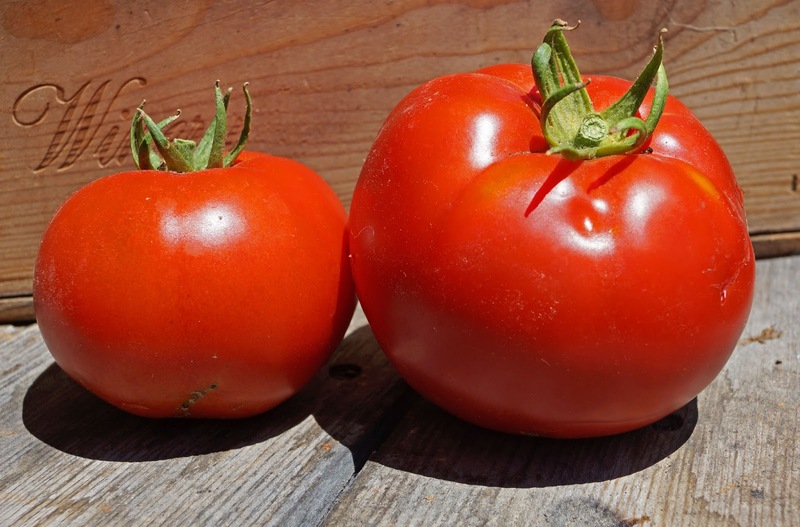 BLT's, spaghetti sauce, and wonderful summer salads are my favorite tomato meals this time of year. 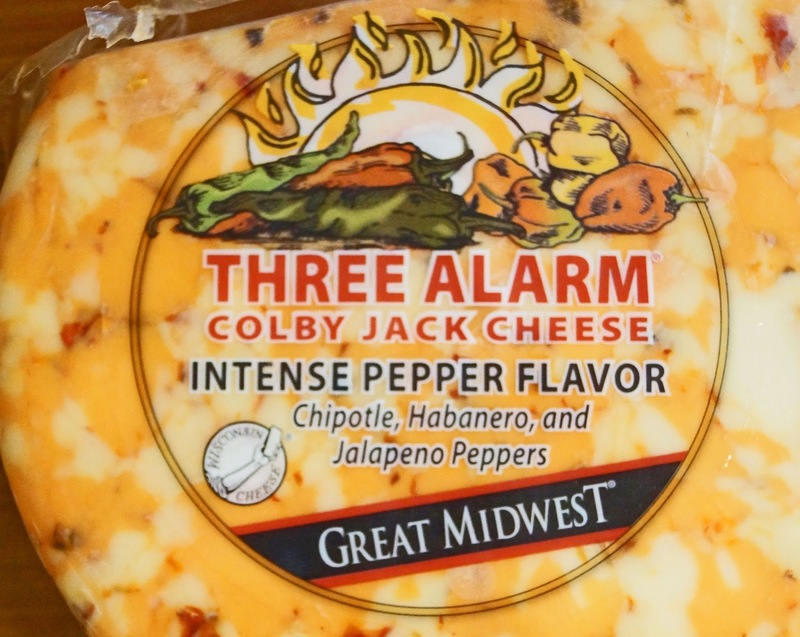 How about mixing the Three Alarm cheese and our red orbs of summer? We thickly sliced the tomato's and seasoned them with salt and pepper. They were topped with a thick slice of our pepper cheese. The toaster oven was put to use. This was a wonderful hot summer treat. So easy but so tasty. As a side note, even though Ms. Goofy is more learned in her pepper palate, this cheese was too hot for her. that will make ya sweat! Greg, Instead of hot tamale, HOT Tomato.